You may have to consume a clear liquid diet following surgery, prior to a medical procedure that involves the abdomen or bowels, or if you are having trouble eating solid foods. The goal of a clear liquid diet is to provide you with some calories and liquids until you can resume eating solid foods, notes the Maine Medical Center website. This type of diet doesn't provide the nutrients that your body needs to function on a daily basis. 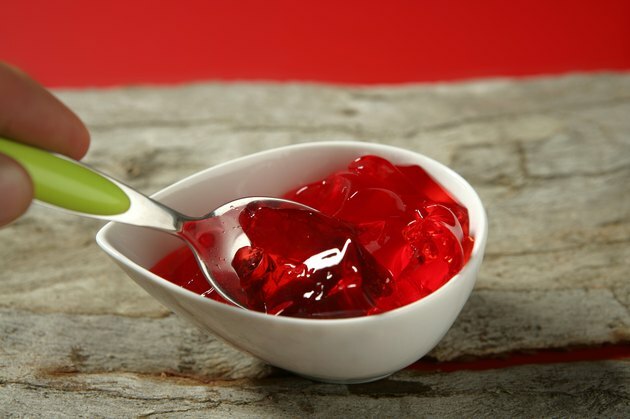 You can enjoy JELL-O and other brands of gelatin in both liquid and solid form when on a clear liquid diet. Consult with a healthcare provider if you need additional advice regarding your specific diet instructions. A clear liquid diet consists of foods that are liquid at room temperature. JELL-O and other gelatins turn back into a liquid state when you consume them. A clear liquid diet is easy to digest and does not leave any residue in the digestive tract. Before having some medical procedures performed, such as a colonoscopy, your doctor will tell you to consume a liquid diet so your gastrointestinal tract is clear and empty. This type of diet after surgery allows the body to heal. JELL-O comes in a variety of different flavors. It comes in packages that you can easily prepare at home and in portable snack-sized cups. Because a liquid diet is very bland, experiment with different flavors of the gelatin mix. Remember to stick to your diet's protocol. Not following the diet can result in medical complications or the need to repeat a medical procedure. Some clear liquid diets specify that you should not consume any food products with red coloring, or other colors. Consult with your health care provider to learn if you should avoid certain food colors, as the colors may be confused with internal bleeding during a procedure or surgery.